According to the diplomat, sanctions against the Russian Federation will only intensify, and the Russian "elections" in the Crimea will only "add confidence to those countries that have already imposed sanctions or will do it"
The Crimea is acquiring the features of a "hotspot" and this can encourage the UN member states to more active steps, Ukraine's Permanent Representative to the UN Volodymyr Yelchenko stated on March 17. The diplomat noted that the peninsula is becoming a "hotspot" not only in the sense that it is illegally annexed, but also in terms of a threat to European security. He noted that this should encourage the UN to more active steps. “These can be the decisions of the UN General Assembly, and we are ready to prepare such decisions. We will not limit ourselves to whether Ukraine is in the Security Council or not. 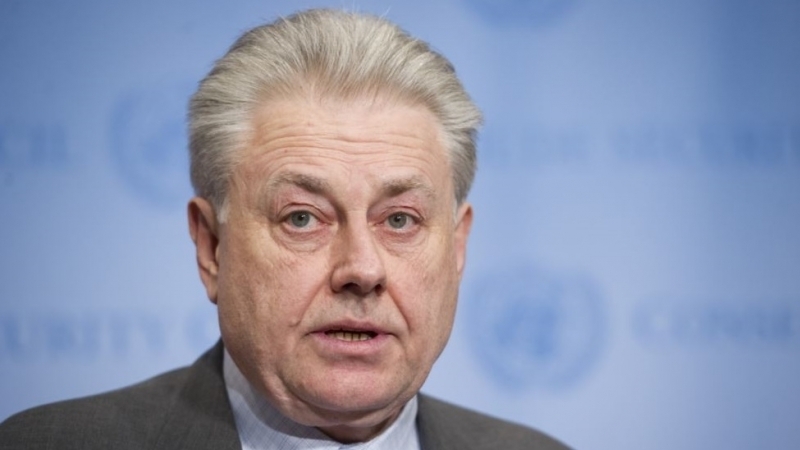 There are many other UN bodies, considering various Crimea issues, and they must be raised,” Yelchenko said. According to the diplomat, the sanctions against the Russian Federation will only intensify, and the Russian "elections" in the Crimea will only "add confidence to those countries that have already imposed sanctions or will do it." The European Union does not recognize the holding of presidential elections in Russia in the occupied Ukrainian Crimea. QHA reported that on March 15 the UN Security Council held a special meeting in the Arria format dedicated to holding illegal presidential elections in the annexed peninsula.